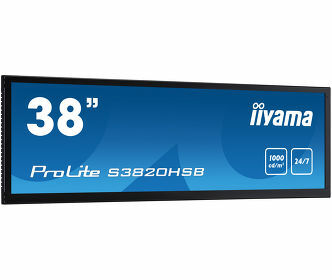 iiyama, one of the leading manufacturers of high quality monitors, announces an expansion of their LFD range with 3 ultra slim design displays designed for continuous operation particularly suitable for video wall installation. 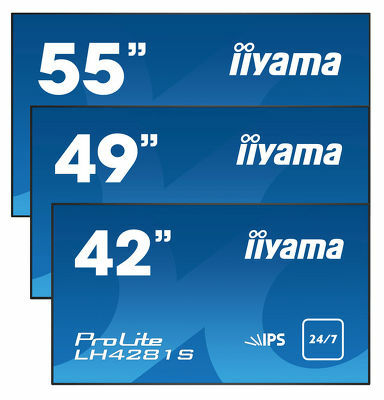 iiyama adds three new 81 series models to its professional LFD range: 42” (ProLite LH4281S), 49” (ProLite LH4981S) and 55” (ProLite LH5581S), an ideal solution for video wall applications. Incorporating LED-backlit technology, the new LFDs guarantee low power consumption and reliable long-term operation. The high quality IPS panels ensure exceptional color accuracy, high contrast and vivid, life-like quality at any angle. Provided with an OPS slot (Open Pluggable Specification) the displays can benefit by adopting a pluggable PC as a digital signage engine. The screens are therefore perfectly suitable for places like airports, shopping malls, showrooms and conference rooms. The elegant and professional appearance of the new 81 series incorporates a slim design, featuring a sleek bezel of just 6.5 mm. Both landscape and portrait friendly, the new 81 series will adapt to specific signage needs. The integrated speakers and a range of connectivity options ensure compatibility across various devices and media platforms. 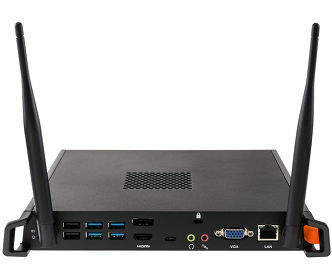 The screens also feature a USB Media Player, which supports playback of presentations, video and almost any type of content stored on the USB device or internal memory. The 81 series will be available across Europe in the first week of May and will have a 3 years ‘on-site’ Advanced Exchange Warranty.